Only today, one year of PRO subscription for FREE with App Gratis! Download now! Manage, collaborate & share on the go! 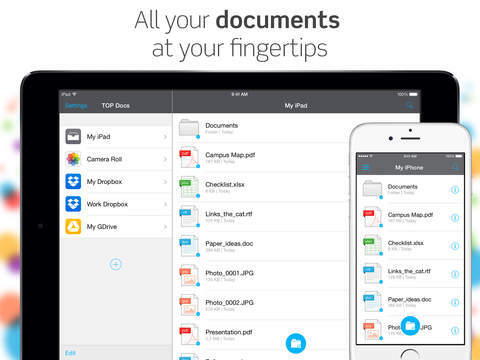 The best Files & Cloud Manager App for iPhone & iPad.
. Background download/upload files&folder to clouds. Upload a folder while reading a PDF. Yearly subscription: $4,99 to become PRO for 1 year. > Offline mode: Starred files are always available and in sync. > Global search: Find your docs across all the clouds. > Keep your docs organized: Manage all your docs and folders. > iOS background download/upload of files. > Unlimited accounts for Dropbox, GoogleDrive or OneDrive. Multiple cloud accounts, never run out of cloud storage again. 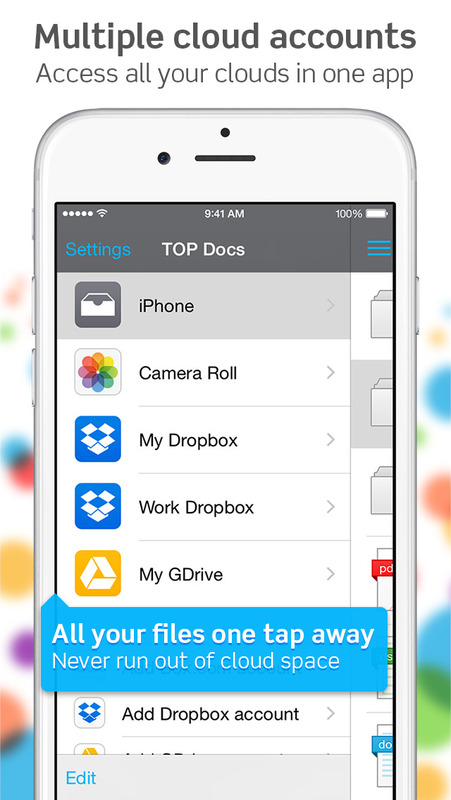 Just add unlimited accounts of Dropbox, GoogleDrive or OneDrive. 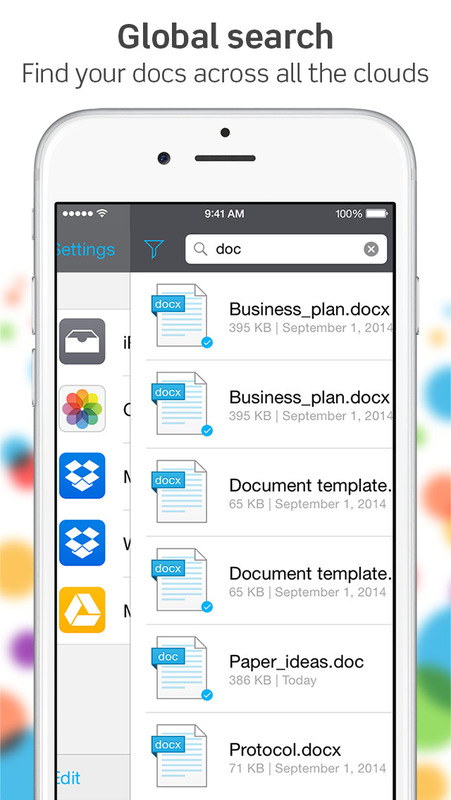 Super clean interface for easy usability, get your files management done with no hassle!